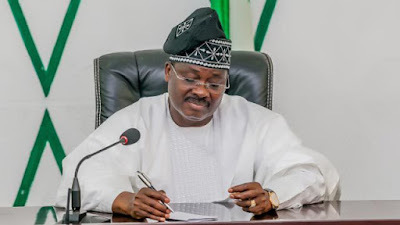 The Oyo State Government on Wednesday warned striking workers in the state that they would not be paid if they refused to go back to work. Leaders of the joint section of the Oyo State Executive Councils of the Nigerian Labour Congress, Trade Union Congress and the Joint Negotiation Council said workers in the state called for a three-day warning strike in solidarity with their colleagues at the six tertiary institutions belonging to the state. The union leaders said workers at The Polytechnic, Ibadan; Emmanuel Alayande College of Education, Oyo; Oyo State College of Agriculture and Technology, Igboora; The Ibarapa Polytechnic, Eruwa; The Oke-Ogun Polytechnic, Saki; and the College of Education, Lanlate, have been on strike over non-payment of their salary arrears and reduction of government subvention to the schools to 25 per cent. The union leaders said the strike was also called to protest the sacking of 256 workers at the Ladoke Akintola University of Technology Teaching Hospital, Ogbomoso, and other issues affecting the health sector as presented by the Joint Health Sector Union. But in a release by the Secretary to the Oyo State Government, Olalekan Alli, the state denied most of the allegations levelled against it by the unions, stressing that it committed larger share of the state income to the payment of salaries and gratuities. The statement added that after receiving a letter of notification from the unions on Tuesday, the government invited the union leaders to a meeting which they shunned. The statement explained that the law that established the six institutions did not state that the government would be solely responsible for the payment of their salaries.